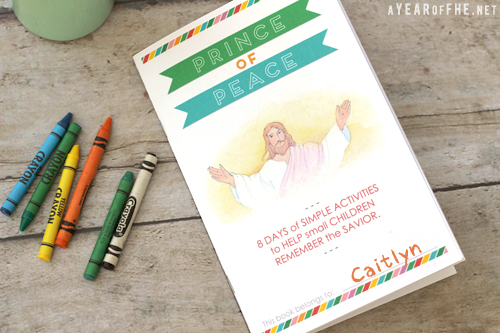 A Year of FHE: FREE LDS DOWNLOAD // Prince Of Peace Easter Activity Booklet for Kids! 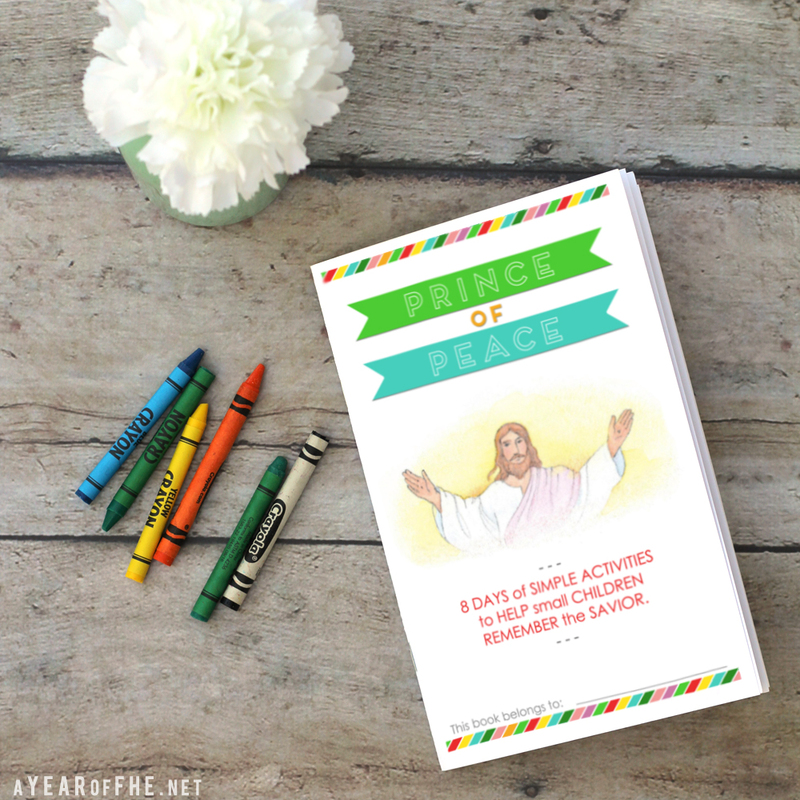 FREE LDS DOWNLOAD // Prince Of Peace Easter Activity Booklet for Kids! 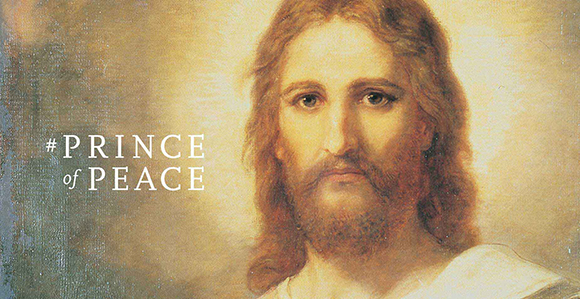 I am so excited for the LDS Church's PRINCE OF PEACE campaign this year! The LIGHT the WORLD campaign at Christmas changed my family for the better. Months after the holidays had ended my entire family was still looking for opportunities to serve and share the light of Christ! I had such an amazing experience sharing a Kids' Christmas Advent Calendar that I am so thrilled to be able to share another kids' activity for Easter! I wanted to share the same kind of concept. 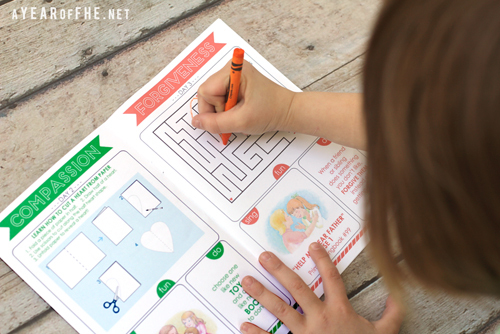 A very simple, daily, activity that even young kids could do all on their own! These daily activities will turn their thoughts to the Savior as Easter approaches. I hope your family enjoys this free booklet and uses it to bring the spirit of the Savior into the Easter season! I used LDS art from the lds.org website and some of my own as well. The Easter campaign this year has 8 days of devotionals, each one sharing a character trait we can learn from the Savior. This booklet has an activity, song, and easy action for each day that goes along with those traits and can be completed by even very young children with little or no help from adults. After I made this booklet I asked my 6 year old to help me photograph it and after doing one page she excitedly exclaimed, "Can I finish the entire thing?!!" I truly hope your children feel the same! If you are having trouble viewing the video CLICK HERE to watch in YouTube. To find out more about this wonderful campaign or to learn more about Jesus Christ and his mission on earth, please CLICK HERE. I have NOT seen that trick to staple booklets--- mind blown! Thanks for sharing! I'm printing these off for my kids now. I love these! Thanks for sharing. My son will love it. And what a brilliant way to staple the book! Thank you so much! My youngest is 10 but even she thinks this looks really fun! I was a weird teenager who asked for a long reach stapler for my birthday when I was 14 or 15. That thing is still with me (more than 20 years later), and one of my prized possessions!